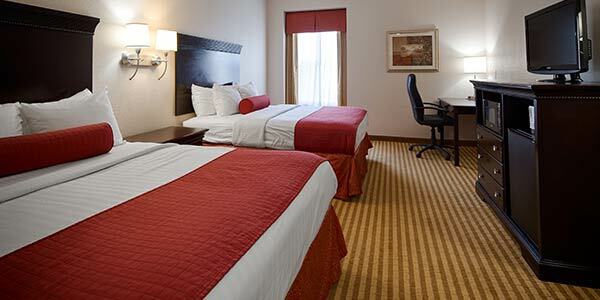 Warm decor invites you into a home-like respite with contemporary furnishings and modern amenities. Kick your feet up and watch a premium movie on your 32-inch LCD TV with three HBO® channels. Keep beverages cold in your personal refrigerator and warm snacks in your microwave. Connect with the outside world via complimentary wireless Internet and tie-up projects at your work desk. 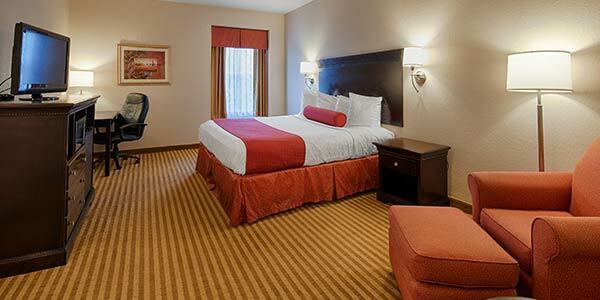 Designed to make relaxation a certainty, our hotel rooms provide an ideal atmosphere for work and leisure. 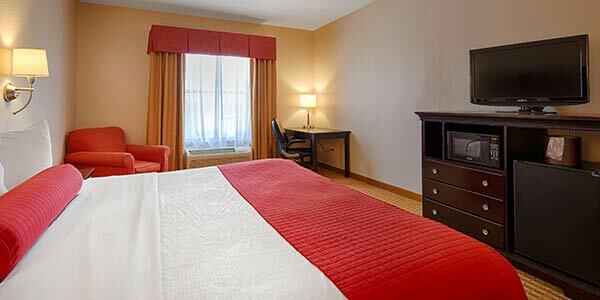 Enjoy easy comfort in this spacious room, featuring a 32-inch flat screen LCD TV, a plush king bed and complimentary wireless Internet. Enhance your family vacation in this fully-equipped room with two queen beds, premium cable television and plenty of room for the kids. Relax like you should in this well-appointed room, thoughtfully equipped with accessible features for enhanced comfort and safety. Optimize your stay in this spacious suite, featuring a sofa bed, plush king bed and our complete line of modern essentials.